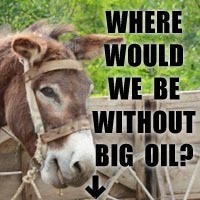 What’s wrong with oil sponsorship? Why does Shell support the arts? The oil industry is an intrusive and volatile one, where share prices can vary wildly based on future prospects and risks. Shell’s business relies on political co-operation at home and abroad, through financial backing from the state, close connections to politicians and the ability to influence legislation. Shell benefits from the ability to work with governments to quash dissent – which violates the democratic right to protest. 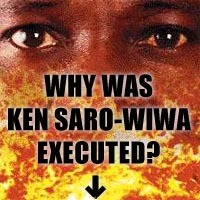 Social and political shifts can profoundly threaten production, and immediately undermine the value of an oil company. Eternally worried about losing such support, oil companies forge connections among not only the political elite, but in academic, cultural, sporting and artistic circles, to further build their reputation as responsible and well-meaning companies. A supportive attitude among civil society’s movers and shakers is built through direct engagement and dialogue, through advertising, and through financial support. Shell funds cultural icons across London, not only fostering deep connections with arts and music institutions but seeking associations with science – such as its sponsorship of the climate science exhibition in the Science Museum, the Geological Society’s ‘Shell London Lectures’, and university research posts. Shell’s sponsorship of the Southbank Centre, and specifically of the Shell Classic International concerts, is a textbook case of what appears to be ‘philanthropy’ but is simply an investment, like any other, expected to deliver concrete returns to the company and shareholders (as was the case with BP’s sponsorship of the London 2012 Olympics). 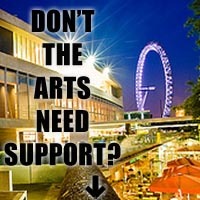 Why shouldn’t Shell support the arts? Shell might need the Southbank Centre but the Southbank Centre doesn’t need Shell. 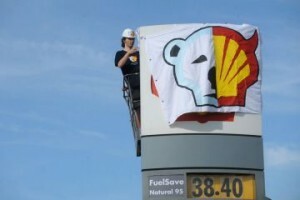 The amount of money gained by corporate sponsorship is a fraction (5% in 2011) of the centre’s overall income and is overwhelmingly outweighed by the irreparable harm done by propping up Shell’s reputation. Cultural institutions and sporting events have shunned tobacco sponsorship – and have survived and thrived without it. If oil companies, and other large corporations, contributed their fair share of taxes, and stopped participating in tax avoidance schemes, the government would have more than enough to adequately fund the arts. Arts and culture are integral in our society and should be enjoyed by everyone. They inspire, critique, and illuminate. They should be free to deliver messages of hope, clarity, justice, and alternative futures. Corporate sponsorship, especially by oil companies whose livelihood depends on not moving forward from the outdated oil age, stifles and censors the arts. The arts need to be supported and nurtured for their own sake, not used as pawns by oil companies to boost their operations in some of the world’s most destructive industries. We would like to see the Southbank Centre, (and other cultural institutions that take money from Shell, BP et al), reject the myth of austerity and stand with composers, musicians, artists and others who are harnessing their creativity in the struggle for life, love and justice. As we see it, there is more than enough wealth to go round, both in the UK and internationally, to allow all people to live full, healthy lives, where there is ample provision for everything we need for our own well-being – including art and culture – and the well-being of the planet itself. It looks like there needs to be an epic redistribution of power to make that happen; we hope our performances can be part of supporting the social movements that are able to bring that to pass. Find out more about Shell’s sponsorship of the Southbank Centre.